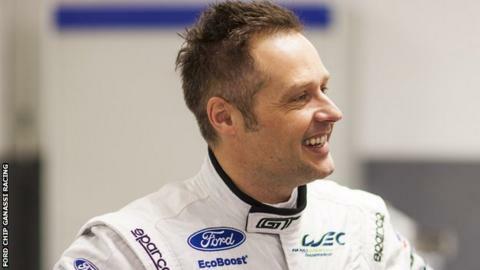 Ford driver Andy Priaulx believes the World Endurance Championship is rivalling the status of Formula 1. Former F1 racer Mark Webber won the championship with Porsche in 2015, while Nick Heidfeld and Kamui Kobayashi are among those competing this year. Priaulx, a three-time World Touring Car champion, will make his Endurance bow at Silverstone this weekend. "The crowds and popularity are growing to an all-time high - I think it's competing with Formula 1," he said. "These guys are all pros - they're either on their way to Formula 1 or just finished Formula 1. "The next two races will be about learning the ropes and rejoining a World Championship which is the highest level you can achieve in sports car racing." The highlight of the Endurance season is the 24 Hours of Le Mans, which takes place in June this year. Priaulx, 41, left BMW after 13 years to join the new Ford Chip Ganassi Racing team. "I would say we're rookies and we've got the approach of rookies, but we're ambitious rookies," Priaulx told BBC Radio Guernsey. "You have literally four categories racing in one big race and that makes it very exciting for the fans - there's lots of overtaking."